The products I am reviewing today are from a Mineral make up line from Philippines. They are KRAVE MINERAL COSMETICS. We offer an exclusive variety of natural handcrafted and micro formulated pure mineral make up made with the highest artisan quality. Chemical free, buildable-coverage, provides natural SPF of 15 to 50, high definition quality and enhanced with skin-soothing and healing botanicals giving your skin an amazing, radiant, healthy appearance like nothing you’ve ever tried before. Our mineral make up is gentle enough for even the most sensitive skin types, yet it wears beautifully all day long under any condition. it is water proof, feels silky soft, gives you a poreless dewy finish, provides your skin with broad spectrum of sun protection. No harsh chemicals and no more “melt-away make up issues”. 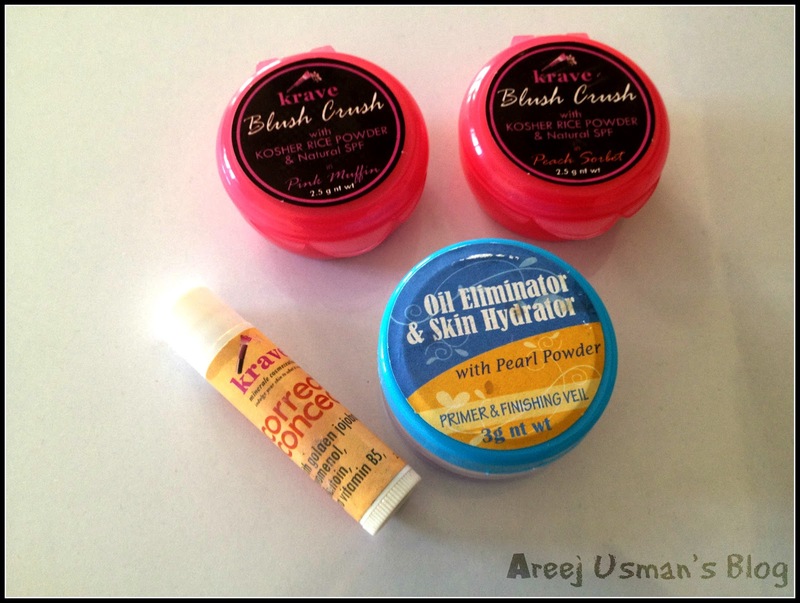 Now lets move onto my experience with Krave Cosmetics. Dolled up with a few brush strokes and achieve an effortlessly glowing pinkish cheeks that doesn’t need a time to time touch ups. KOSHER RICE POWDER is the refined starch from rice, known as Oryza Sativa. It soothes inflamed acne and skin ulcerations. An anti-aging skin formula that protects from the harmful rays of the sun, and leaves skin more radiant. It’s emollient and exfoliate properties keep skin cells healthy, while its ceramide increases collagen production to make skin more supple and free of wrinkles. These mineral blushes come in little pots with lids.The packaging though cute is not very practical.These are made of plastic & are easily breakable.I expect Krave will change the packaging soon. The good thing about the packaging is the sieve lid inside the pot.It stops a lot of product from going into waste & on the shake of the pot lets only little product out.You will have to tilt it a couple of times to get the desired product.These blushes are available in 2 shades at the moment. One is Pink Muffin & the other is Peach Sorbet. 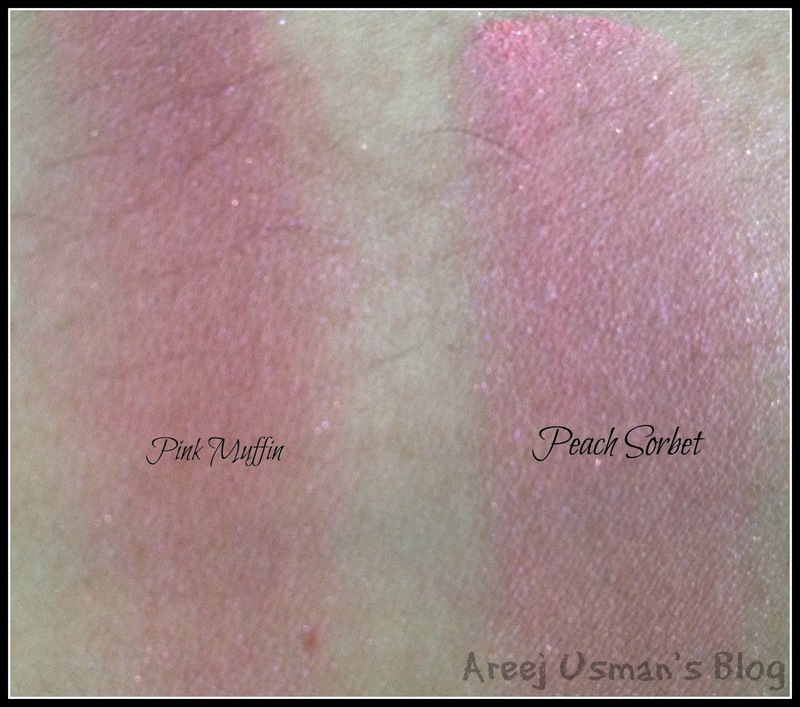 Pink Muffin is A Rose Pink shade with small glowing particles.Mind you that these are single swatched without any primer.If you apply a primer they will turn out better & you can also build up the color by adding more product to your cheeks.Peach Sorbet is a golden Peach shade with Pink glow.Pink Muffin gives you a natural healthy looking glow because of the small amount of shimmer particles,it is very easy to blend and doesnt run down on my oily skin.The staying power of these mineral blushes is very good.Its longer than the usual mineral blush.Stays put for atleast4-5 hours on the go.The Peach Sorbet similarly gives you a healthy golden glow.I love the product but the only thing I dont like is the packaging.The price for a jar is PHP 230.00 only & its quite affordable.This little jar will surely last a long time if used with care. Hate spots? Correct & conceal them up completely and get rid of them instantly. It does not only erase spots but it also helps to soothe and repair the skin with the addition of Levomenol, Allantoin, Golden Jojoba Oil and ProVitamin B5. We use only the highest botanicals, natural plant waxes, oils and pure mineral pigments to create a luxurious, promising mineral stick concealer. Correct & Conceal stick has a “drier” texture when applied, making it “stick”‘ to the area of facial imperfection. Well I am not that big concealer fan & user.I really dont use concealer much in my make up routine.Still I wanted to give this one a try.The packaging looks more like a lipbalm.The cap holds on quite tight. The product is creamy as well as grainy.You can feel small thick granules when you apply this concealer.I wonder what are those for.The product lacks a description on how to apply but assuming how the other concealers are applied it can be used to cover imperfections,eye bags,marks etc.The swatch i showed here is single swatched.It covers marks & imperfections well enough & also helps to brighten up the face.I would use this product when in very utter need of concealer otherwise I wouldnt include it in my daily routine because I dont really like the grainy substance. 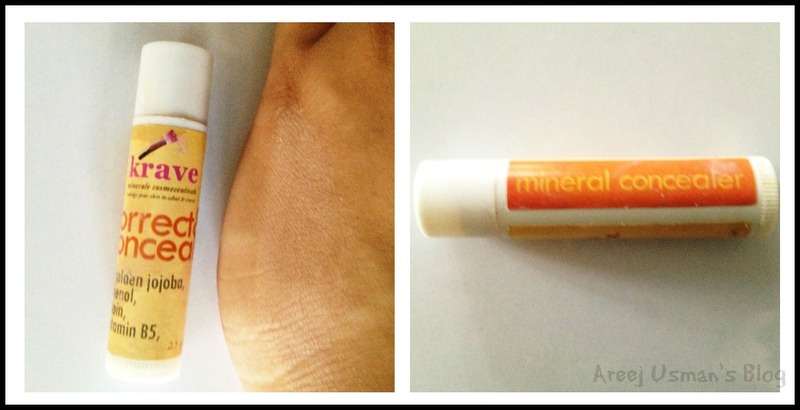 We highly recommend Krave Minerale’s OIL ELIMINATOR and SKIN HYDRATOR not just for oily gals but for all make up users out there. 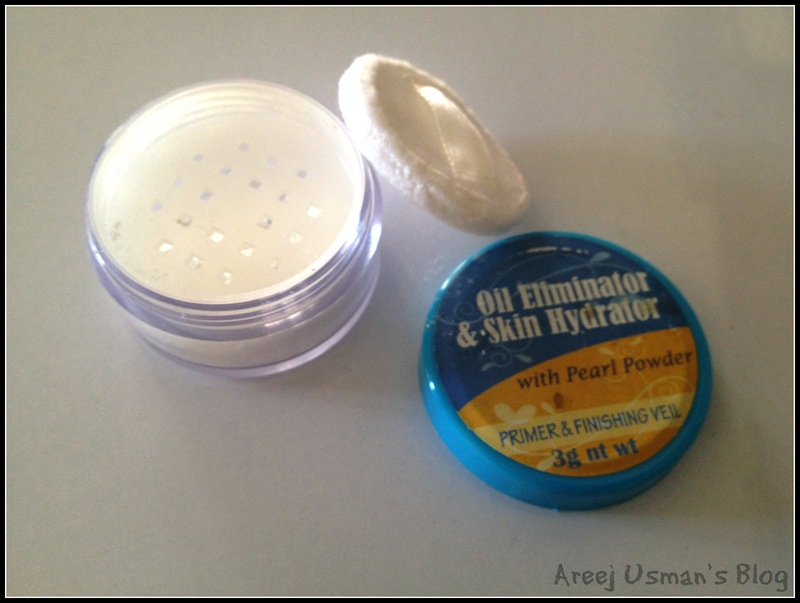 OIL ELIMINATOR and SKIN HYDRATOR is translucent so it won’t interfere with other mineral makeup colors you are wearing. Plus, it is specifically formulated to virtually erase the appearance of fine lines, wrinkles & large pores when applied. 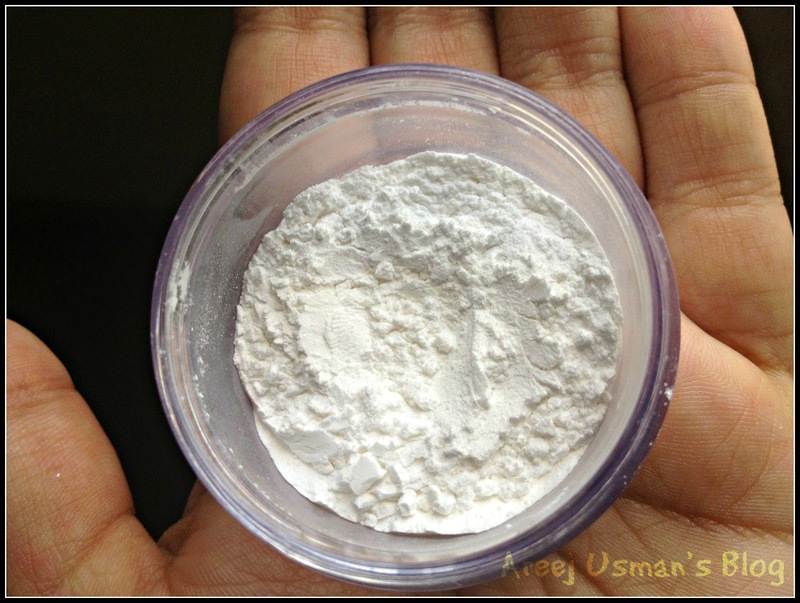 PEARL POWDER that aids in healing, skin brightening, anti-wrinkling, and sun protection. It also exfoliates the skin and promotes new cell regeneration. SODIUM HYALURONATE the world’s powerful skin hydrator which brings balance to your complexion & keeps your make up application fresh all day long. Apply it before (as a make up primer) and after (as a finishing powder/veil) to control oil breakthrough all through out the day and for a long-wearing make up effect. I must tell you all that this is my favourite product out of all the ones I am reviewing.First of all the reason is this that I have oily skin.This powder really has so many reasons to become my favourite product.Its multi purpose.I have used it as a make up primer,to add brightness to my skin,for touching up,and as a finishing powder.It helps my skin to look matte as well & controls oil from surfacing on the skin. 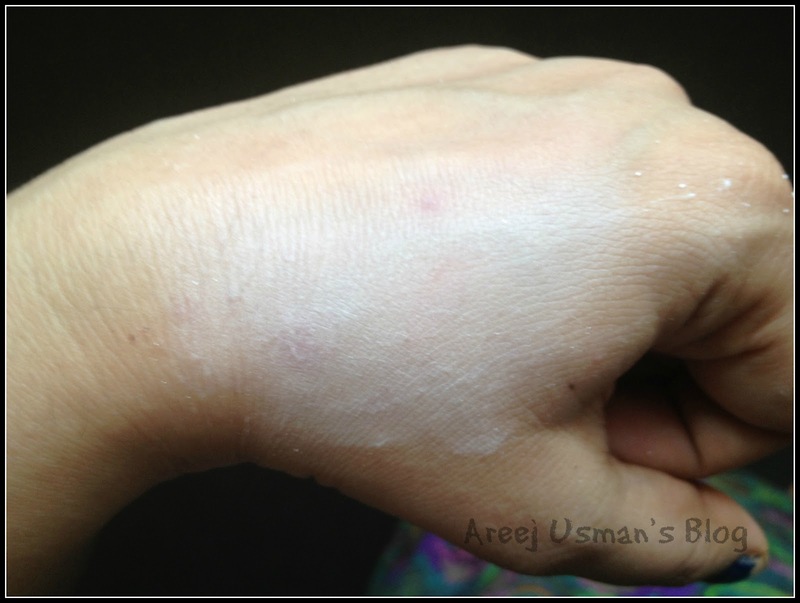 Though it appears very chalky & white here but after it is blended it gives a really smooth look.It also makes the skin softer. 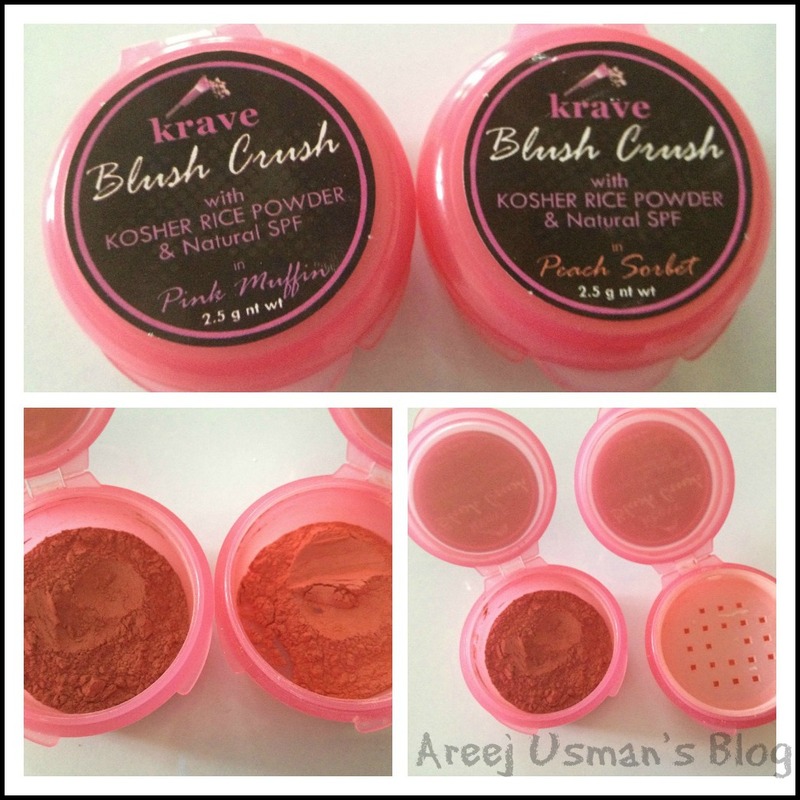 Thanks to Krave for changing the packaging of this product.I hope they will soon change the blush packaging similarly.This product comes in a decent rounded container with a sifter lid and a cute applicator.The product looks like crushed white chalk in appearance. Its available for Php 285 on their website. I recommend that if you want to try anything Krave go for this product.Its really worth having & worth the price. piCture pOlish blog fest :Creating a Scene Wearing “TEASE” & “MIRAGE” today!! glad to have you back aftera long time! hope you little baby boy is doing well 🙂 ive always been intrigued by korean/japanese/thai makeup products 🙂 great review! Where can you but it in pakistan? According for those who are experts in putting makeup better to use mineral makeup for sale, becuase this kind of cosmetics is anti-aging products. Good to hear it right?